June 25, 2015 - Ready, Set, SHOP! December 23, 2014 - Happy Holidays from Three Crafty Ladies! May 17, 2014 - NEW Summer Inventory! May 1, 2014 - New Bundles Now Available! December 24, 2013 - Happy Holidays From Three Crafty Ladies! October 31, 2013 - Happy Halloween! 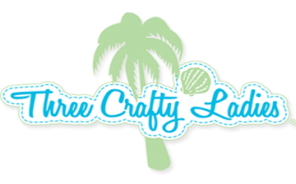 July 1, 2013 - Three Crafty Ladies E-Newsletter & SALE! April 8, 2013 - End of Season Extravaganza! November 30, 2012 - Order Your Christmas Quilts Today! We have a brand new E-Newsletter program! Please click the button below to join!